We receive many calls from homeowners with septic tank problems in Essex and the problem at this property in Blackmore End at Braintree is a common problem we encounter. The owners of this property were contacted by their neighbours regarding effluent being present in their boundary ditch. 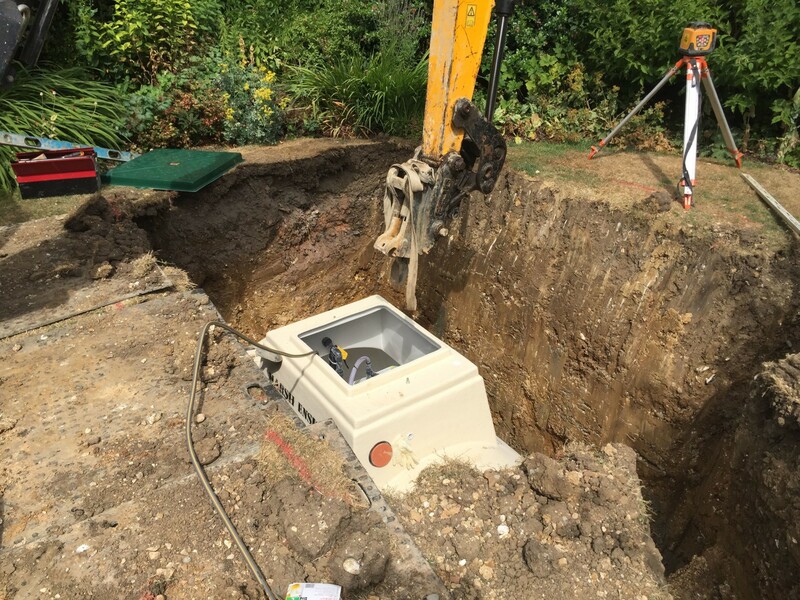 Septic tanks discharging to ditches and streams is a common septic tank problem we encounter nearly every week. 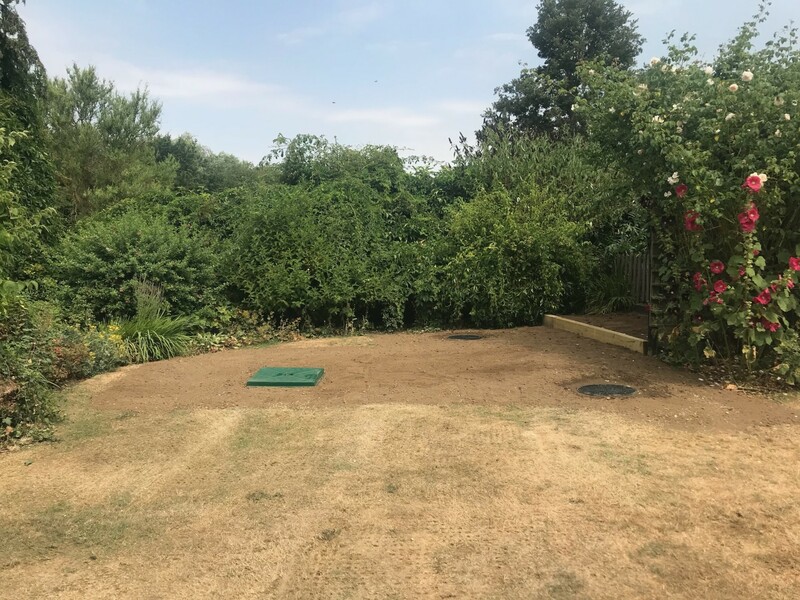 After an inspection of the septic tank and drainage field at this property in Essex, Mantair engineers confirmed that the tank was discharging to the neighbours boundary ditch. 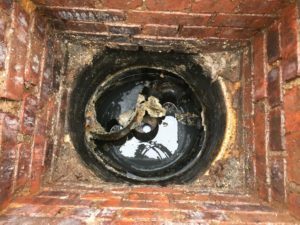 The inspection also identified that the plastic Baffle contained within the septic tank was damaged and dislodged. 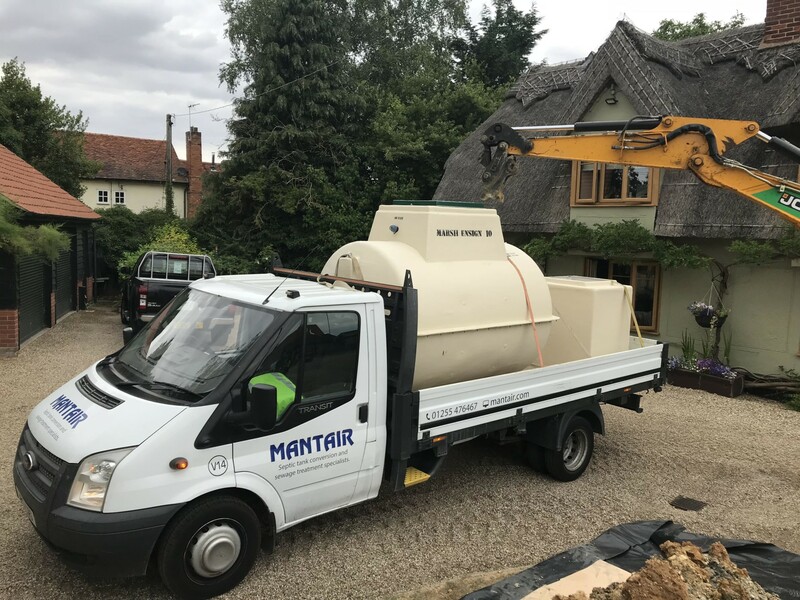 The tank was identified by Mantair engineers to be a ‘Halliday’ septic tank, manufactured by ‘Halliday Engineering’ in the 1980’s. 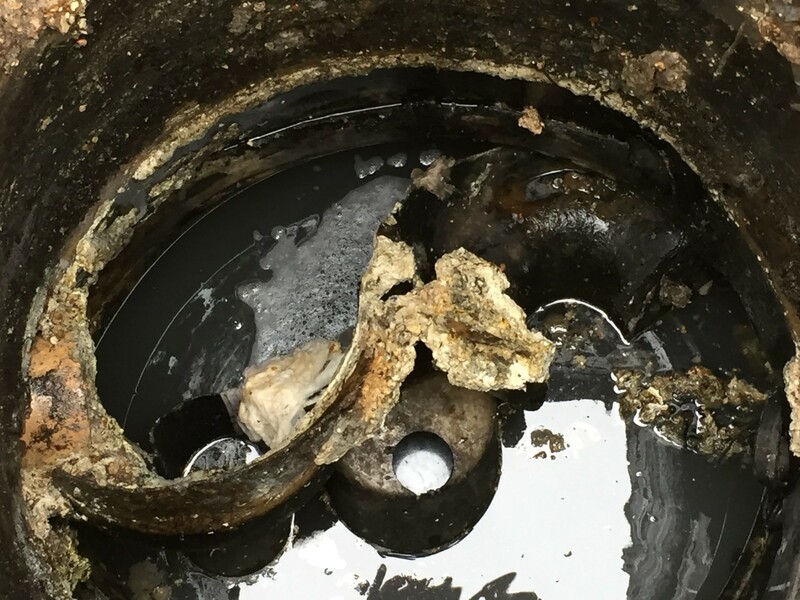 The purposes of a Baffle within a septic tank is to prevent solid and floating matter form passing through the tank. The damage to the baffle within this septic tank resulted in an increase in the amount of sewage and pollution entering the ditch. 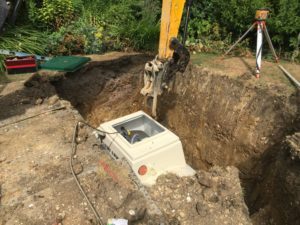 Any septic tank with a damaged or dislodged baffle will result in a septic tank problem, including drainage field failures. 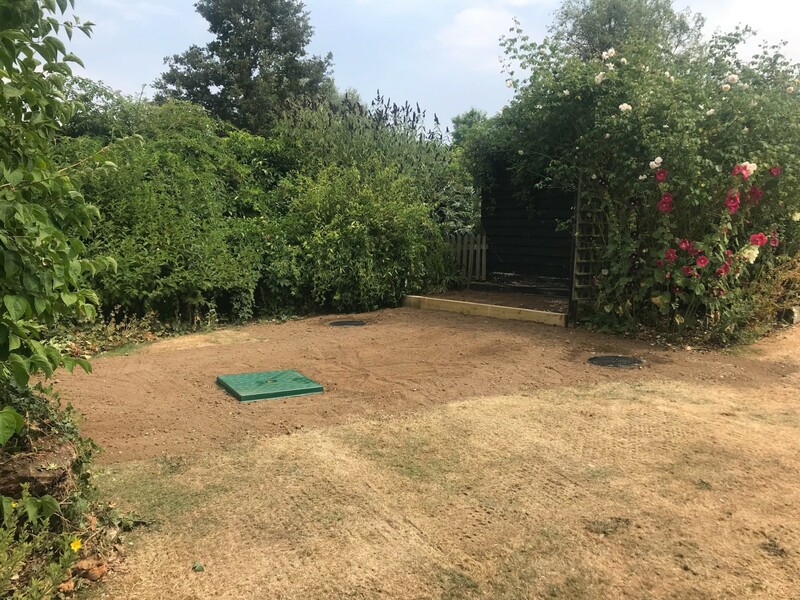 Working in partnership with a leading drainage claims management company, we were able to obtain approval for the replacement of the damaged septic tank under the household insurance policy. 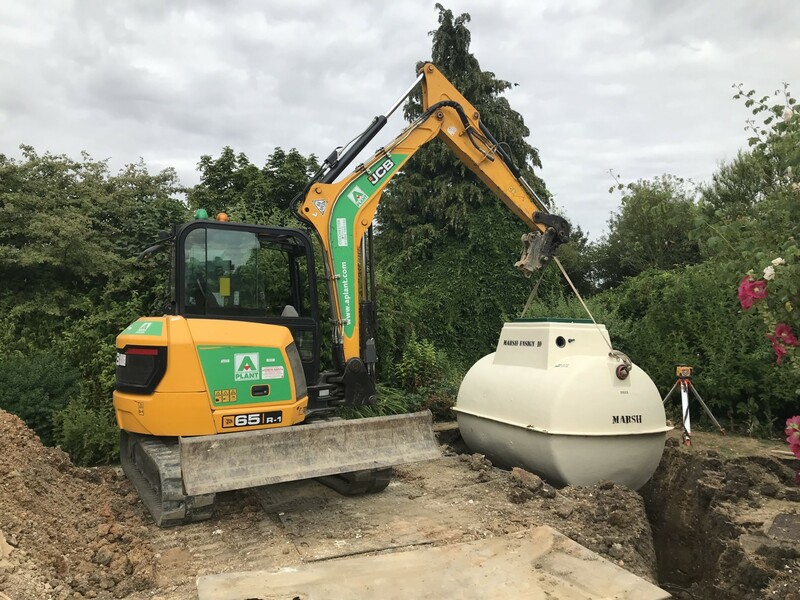 Due to Regulations, it was a necessity that a sewage treatment plant be installed to resolve this septic tank problem. 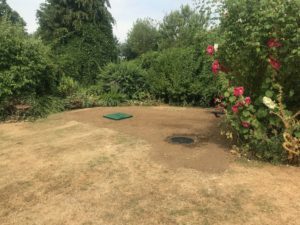 The chosen sewage treatment plant was a ten-person Marsh system which was installed underground with only a manhole cover at ground level. 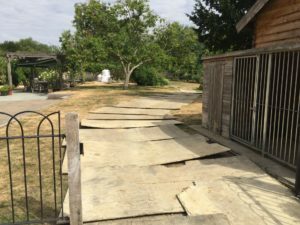 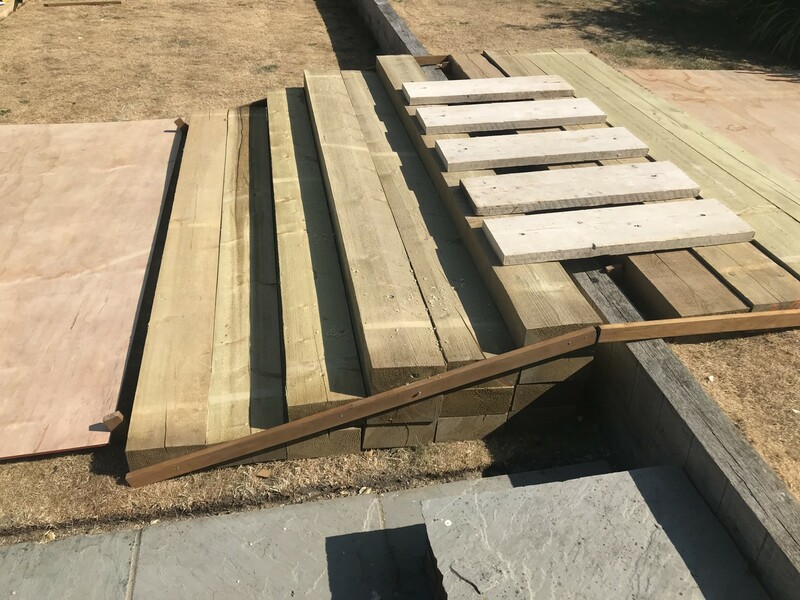 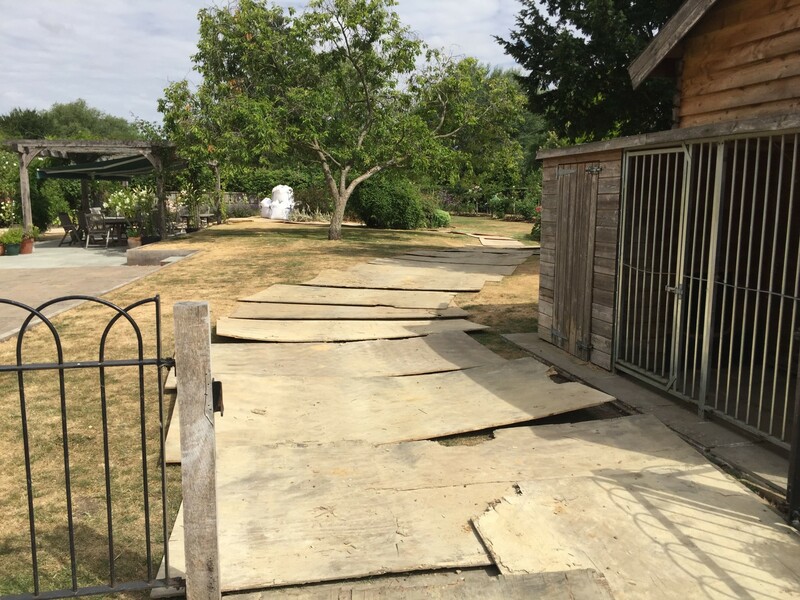 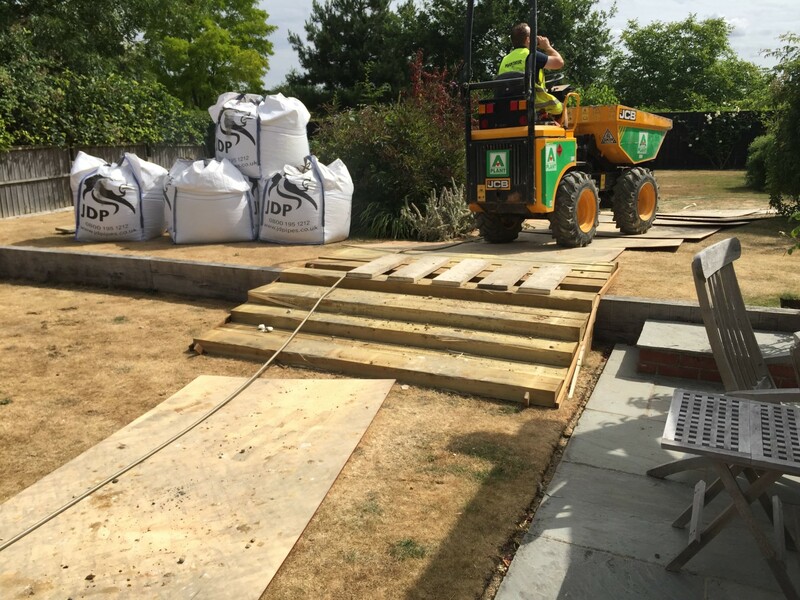 Prior to works commencing, ground protection boards were placed to protect the garden and it was also necessary for a temporary access ramp to be built as the garden was on two different levels. 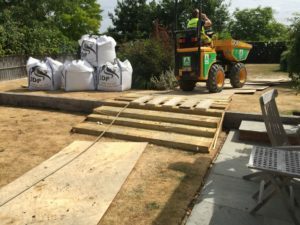 As with all Mantair installations, care was taken prior to the main works to ensure there was minimal disruption to the garden. The Marsh sewage treatment plant is a ‘single tank’ system using a three stage treatment process. Central to the operation of the Marsh system is the aeration chamber. Within the aeration chamber aerobic micro-organisms develop through the use of fine bubble aeration and floating plastic media. 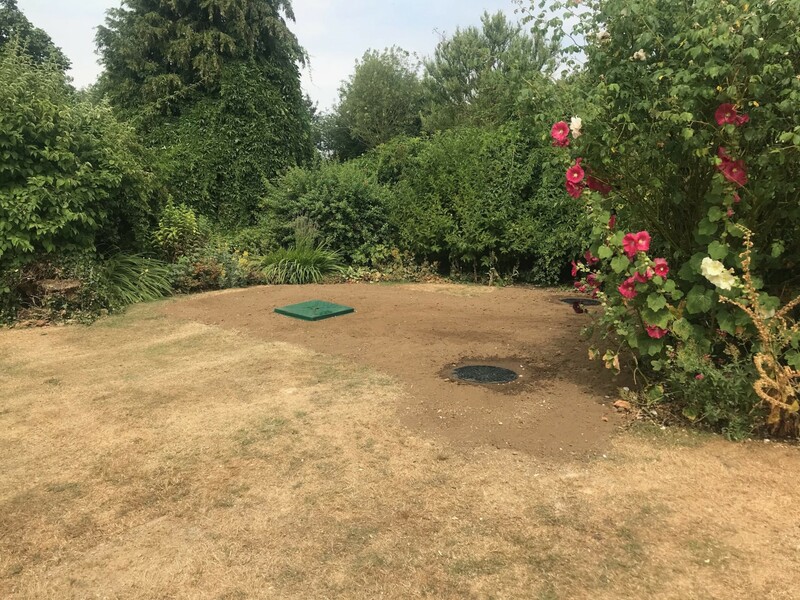 This aeration process provides an extremely robust means of treating sewage, and provides an ideal solution for septic tank replacements. 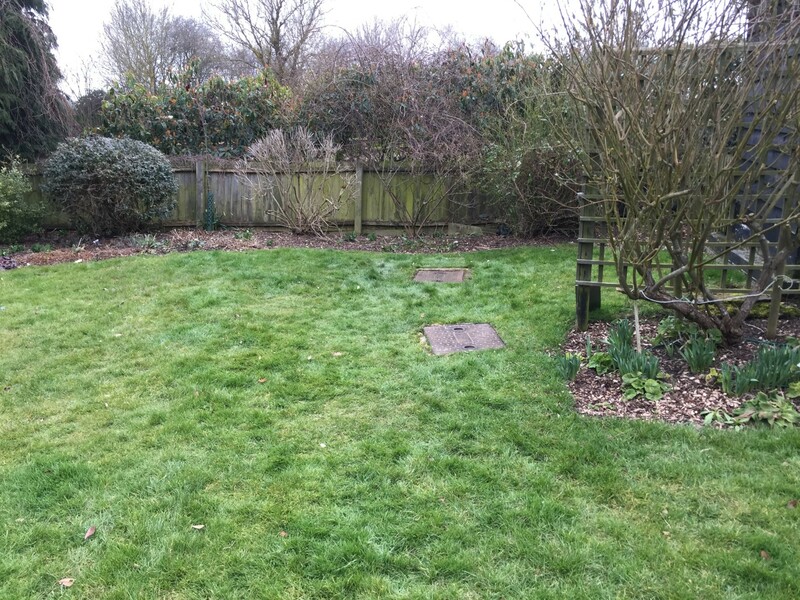 All machinery and ground protection was removed from site and the garden was left in a neat and tidy manner.